Interviews with Founders, Researchers, UX, Designers, and Practitioners in Voice Technology hosted by Seth Lugibihl. 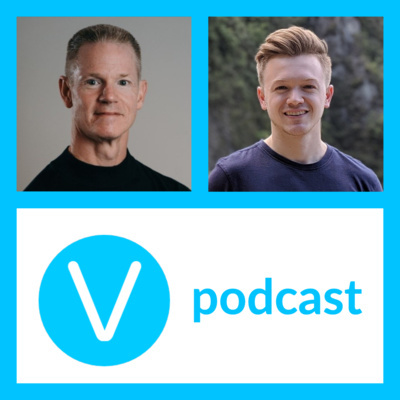 Listen to the Voiciety podcast to learn more about Voice in Business, Marketing, Sales, B2B, Healthcare, and much more! The Ten Most Popular Alexa Skills of 2018 on Voiciety: https://www.voiciety.io/community/article/the-10-most-popular-alexa-skills-in-2018-on-voiciety-5pl6damD1P Check out the new Voiciety Community Articles Here! 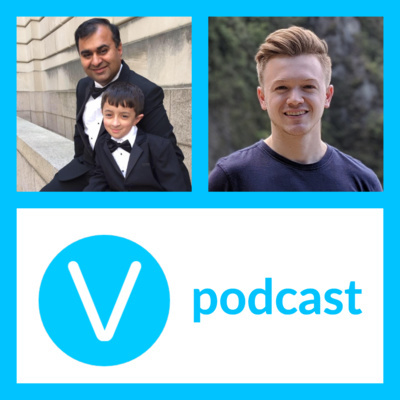 www.voiciety.io/community/articles Check out the new Voiciety Podcast Section Here! www.voiciety.io/community/podcast Facebook Community: www.facebook.com/groups/1854245341279001/ Twitter: twitter.com/voiciety_io Instagram www.instagram.com/voiciety/ YouTube www.youtube.com/channel/UC0wq6WanojC6Rivn4CRZVJw and finally www.voiciety.io Feel free to contact me at seth@voiciety.io if you have any questions, ideas, or would like to join the show! Today I'm talking with Shreedhar Vepencheri of Story Stream Story Stream: https://www.voiciety.io/apps/story-stream-by-oyku-R8L6Rvy6q0 Story Stream Instgram: https://www.instagram.com/oykuapp/ Story Stream Twitter: https://twitter.com/oykuapp Check out the new Voiciety Community Articles Here! 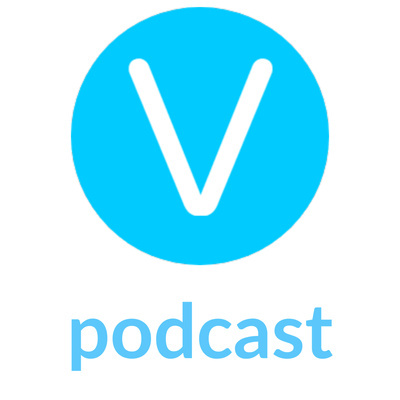 www.voiciety.io/community/articles Check out the new Voiciety Podcast Section Here! www.voiciety.io/community/podcast Facebook Community: www.facebook.com/groups/1854245341279001/ Twitter: twitter.com/voiciety_io Instagram www.instagram.com/voiciety/ YouTube www.youtube.com/channel/UC0wq6WanojC6Rivn4CRZVJw and finally www.voiciety.io Feel free to contact me at seth@voiciety.io if you have any questions, ideas, or would like to join the show! 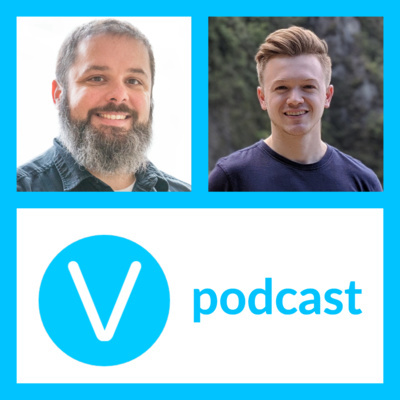 Today I'm talking with Nick Sawka of Voice Skills Inc and Host of the Alexa Skill Review Podcast! Alexa Skills Review Podcast: https://gcnes.podbean.com/ Alexa Skills Review Podcast Instgram: https://www.instagram.com/alexa_skills_review_podcast/ Voice Skills Inc https://voiceskillsinc.com/ Voice Skills Inc Twitter: https://twitter.com/voiceskillsinc The Night Before Christmas: www.voiciety.io/apps/the-night-before-christmas-PDE6oWR6B2 Check out the new Voiciety Community Articles Here! 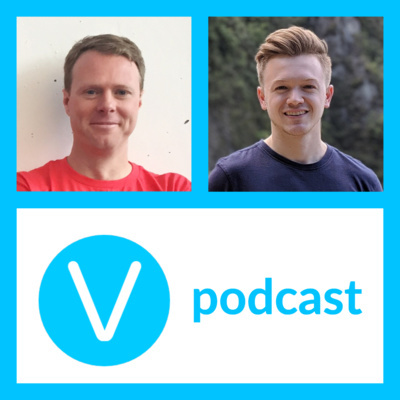 www.voiciety.io/community/articles Check out the new Voiciety Podcast Section Here! www.voiciety.io/community/podcast Facebook Community: www.facebook.com/groups/1854245341279001/ Twitter: twitter.com/voiciety_io Instagram www.instagram.com/voiciety/ YouTube www.youtube.com/channel/UC0wq6WanojC6Rivn4CRZVJw and finally www.voiciety.io Feel free to contact me at seth@voiciety.io if you have any questions, ideas, or would like to join the show! Today I talk about the newest features on Voiciety - Google Actions, Podcast Section, and the Community Articles! The Night Before Christmas: https://www.voiciety.io/apps/the-night-before-christmas-PDE6oWR6B2 Check out the new Voiciety Community Articles Here! 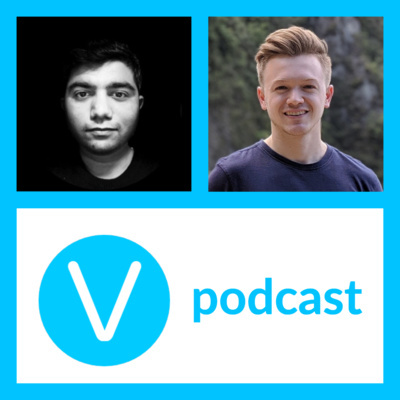 www.voiciety.io/community/articles Check out the new Voiciety Podcast Section Here! www.voiciety.io/community/podcast Facebook Community: www.facebook.com/groups/1854245341279001/ Twitter: twitter.com/voiciety_io Instagram www.instagram.com/voiciety/ YouTube www.youtube.com/channel/UC0wq6WanojC6Rivn4CRZVJw and finally www.voiciety.io Feel free to contact me at seth@voiciety.io if you have any questions, ideas, or would like to join the show! Check out the new Voiciety Community Articles Here! www.voiciety.io/community/articles Facebook Community: www.facebook.com/groups/1854245341279001/ Twitter: twitter.com/voiciety_io Instagram www.instagram.com/voiciety/ YouTube www.youtube.com/channel/UC0wq6WanojC6Rivn4CRZVJw and finally www.voiciety.io Feel free to contact me at seth@voiciety.io if you have any questions, ideas, or would like to join the show! 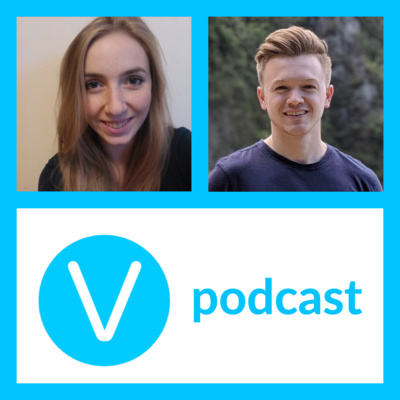 Today in Voiciety, we are talking with Hillary Long of Citro Digitial about Content and Marketing Strategies in Voice, as well as the highly successful Naughty or Nice Quiz Voice app! Citro Digital Contest: https://www.citrodigital.com/landing-page/naughty-or-nice/amazon-smile Website: https://www.citrodigital.com/ Facebook: https://www.facebook.com/citrodigital/ Twitter: https://twitter.com/CITRO_Digital YouTube: https://www.youtube.com/channel/UCvbSsrfDH7GBBl8slfFy0RQ Instagram: https://www.instagram.com/citro_digital/ www.voiciety.io Facebook Community: www.facebook.com/groups/1854245341279001/ Twitter: twitter.com/voiciety_io Instagram www.instagram.com/voiciety/ YouTube www.youtube.com/channel/UC0wq6WanojC6Rivn4CRZVJw and finally www.voiciety.io Feel free to contact me at seth@voiciety.io if you have any questions, ideas, or would like to join the show! Patrick Sweetman and RJ Pikus from Voice First Tech! 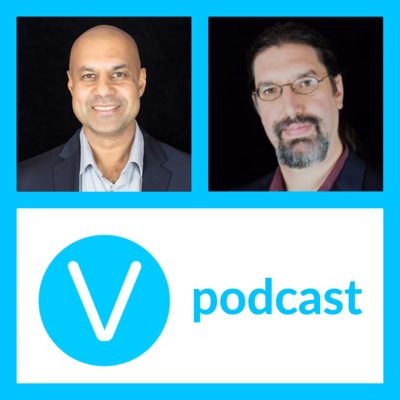 Today in Voiciety, we are talking with Patrick Sweetman and RJ Pikus from Voice First Tech! Be sure to check out the Jovo Udemy Course from Voice First here: Voice First Tech Udemy: https://www.udemy.com/ultimate-voice-dev-course/?couponCode=VOICIETY1 Website: https://voicefirsttech.com/ Podcast: https://anchor.fm/voice-first Twitter: https://twitter.com/VoiceFirstTech YouTube: https://www.youtube.com/channel/UCs8lN2Bfhou5PTC34-Vt6_A Instagram: https://www.instagram.com/voicefirsttech/ www.voiciety.io Facebook Community: www.facebook.com/groups/1854245341279001/ Twitter: twitter.com/voiciety_io Instagram www.instagram.com/voiciety/ YouTube www.youtube.com/channel/UC0wq6WanojC6Rivn4CRZVJw and finally www.voiciety.io Feel free to contact me at seth@voiciety.io if you have any questions, ideas, or would like to join the show! Today in Voiciety, we are talking about account linking and your Voice Apps, as well as some of the pros, cons, and UX decisions that should be made around account linking! www.voiciety.io Facebook Community: www.facebook.com/groups/1854245341279001/ Twitter: twitter.com/voiciety_io Instagram www.instagram.com/voiciety/ YouTube www.youtube.com/channel/UC0wq6WanojC6Rivn4CRZVJw and finally www.voiciety.io Feel free to contact me at seth@voiciety.io if you have any questions, ideas, or would like to join the show! How Do We Get the Attention of New Alexa Users? Today in Voiciety, we are talking about the new influx of users following the Holiday sales and some things to think about when you are marketing your skills! www.voiciety.io Facebook Community: www.facebook.com/groups/1854245341279001/ Twitter: twitter.com/voiciety_io Instagram www.instagram.com/voiciety/ YouTube www.youtube.com/channel/UC0wq6WanojC6Rivn4CRZVJw and finally www.voiciety.io Feel free to contact me at seth@voiciety.io if you have any questions, ideas, or would like to join the show! Today in Voiciety, we are talking about the new Reminders API for Alexa, as well as some tips, strategies, and maybe some warnings for how you should be using the Reminders API to drive engagement to your skill! https://www.voiciety.io Facebook Community: www.facebook.com/groups/1854245341279001/ Twitter: twitter.com/voiciety_io Instagram www.instagram.com/voiciety/ YouTube www.youtube.com/channel/UC0wq6WanojC6Rivn4CRZVJw and finally www.voiciety.io Feel free to contact me at seth@voiciety.io if you have any questions, ideas, or would like to join the show! E-Commerce, Voice, and Much More with Upside Lab! 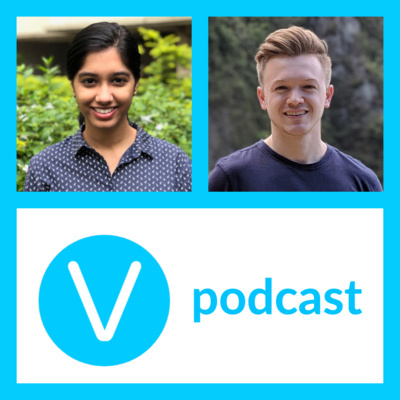 Today in Voiciety, we are talking with Kasia and Rafal of Upside Lab about the intersection of E-Commerce and Voice (Voice Commerce), as well as strategies, voice interaction design, and some awesome case studies that Upside Lab's is tackling in the Voice Space! VoiceCommerce js: https://upsidelab.io/blog/introducing-voicecommerce-js/ Check out Upside Labs! https://upsidelab.io/ https://twitter.com/UpsideLab https://www.facebook.com/upsidelab.io/ https://www.linkedin.com/company/upside-lab/ Facebook Community: www.facebook.com/groups/1854245341279001/ Twitter: twitter.com/voiciety_io Instagram www.instagram.com/voiciety/ YouTube https://www.youtube.com/channel/UC0wq6WanojC6Rivn4CRZVJw and finally www.voiciety.io Feel free to contact me at seth@voiciety.io if you have any questions, ideas, or would like to join the show! Today in the show, we are discussing multi-modal experiences between different Alexa devices, as well as different platforms such as Google Home, Siri, Bixby, and Cortana, as well as the UI and UX differences to consider between all the platforms! Check out Drift Sounds here! www.twitch.tv/binauraldrift www.instagram.com/binauraldrift/ Invocable: https://www.invocable.com/ Jovo: https://www.jovo.tech/ Facebook Community: www.facebook.com/groups/1854245341279001/ Twitter: twitter.com/voiciety_io Instagram www.instagram.com/voiciety/ and finally www.voiciety.io Feel free to contact me at seth@voiciety.io if you have any questions, ideas, or would like to join the show! Is Your Alexa Voice Skill Delivering Value? Hello everyone! Today we are talking about some brief Alexa skill stats, studies, and value in Alexa skills. The question we are asking ourselves today is "What is the purpose of my skill" and is it delivering value? I'd love to hear your thoughts on the topics discussed in the podcast. As always you can join the conversation at any of the communities below: Facebook Community: https://www.facebook.com/groups/1854245341279001/ Twitter: http://twitter.com/voiciety_io Instagram https://www.instagram.com/voiciety/ and finally https://www.voiciety.io Feel free to contact me at seth@voiciety.io if you have any questions, ideas, or would like to join the show! Hello everyone! Welcome to the Voiciety podcast where we will be showcasing the newest and most popular skills on Voiciety as well as the developers and creators behind them! Make sure to check out the latest Alexa Voice skills and interviews at www.voiciety.io!